With a timetable and a little planning you can reach very many places by bus. As walkers you can use the bus to complete a linear walk without the necessity of having to return to where you left the car. You can step on a bus to explore the beauty of Borrowdale or cross the Honister Pass for the breath-taking views of Buttermere and Crummock Water, returning to Keswick through the gentle Vale of Lorton and over the Whinlatter Pass with its Visitor Centre and Osprey CCTV screens. The Osprey outdoor viewpoint above Mirehouse is only a few minutes bus ride from Keswick. Alternatively you can follow beneath the Helvellyn chain to Grasmere, then to Ambleside, Windermere and beyond to Kendal. Often this ride will be by double decker - the scenery is better from the top deck than from the back seat of the car. Keswick Winter bus timetables for 2018-19 will be posted here as soon as they are available. Click here for current changes to the timetables below. Where's my bus? Click here for a live tracker for buses in the Keswick area. Click on the italicised headings for links to pdfs of timetables. This service runs from Penrith bus station via Penrith railway station to Keswick and then continues to Cockermouth and Workington. The X5 serves the villages of Threlkeld, Portinscale, Braithwaite and Thornthwaite whilst the X4 goes to Bassenthwaite village, Castle Inn and the Lakes Distillery. Please note that the bus doesn't go into Portinscale village but stops on the A66. 555 Lancaster - Keswick This service runs between Lancaster and Keswick via Kendal, Windermere railway station, Ambleside and Grasmere. 554 Keswick - Carlisle This service runs between Keswick and Carlisle via Mirehouse, Castle Inn Hotel, Bothel, Mealsgate, Bolton Low Houses, Wigton and Thursby. The following services operate during the summer timetables only. In 2019 the summer timetables will start from 6th April. 77/77A The Honister Rambler - This is a circular seasonal bus service which operates from Easter to October in both clockwise and anti clockwise directions taking in Portinscale, Catbells, Grange, Seatoller, Honister Slate Mine, Buttermere, Lorton and Whinlatter Forest. Travel through one of the steepest passes in the region, the Honister Pass. The Caldbeck Rambler is a seasonal (Easter - October) and Saturday only circular route from Keswick to Caldbeck. Service 73 runs via Mirehouse and Dodd Wood, Bassenthwaite village, Uldale and Ireby to Caldbeck and returns to Keswick via Hesket Newmarket, Mungrisdale, Threlkeld and Castlerigg Stone Circle. 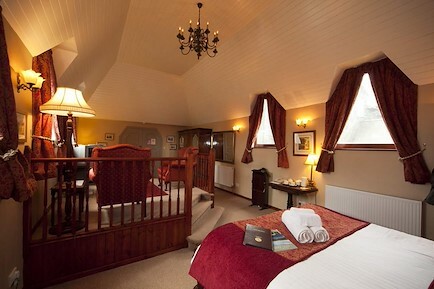 Visit the Stagecoach website for more info and to plan a journey. 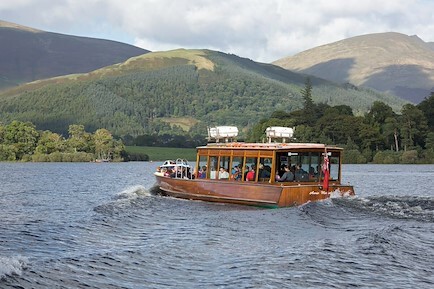 Why not see the spectacular scenery around Derwentwater from one of the Keswick Launches . Sit back and relax on a trip around the lake - 50 minutes for the complete circuit or stop off at one of the boat landings to take a stroll along the lakeshore and catch the launch again further along the route. With seven stops around the lake, it also provides the excellent starting or finishing point to longer walks up the surrounding fells. Click here to see which Keswick launch jetties are open today. Stagecoach bus and boat tickets - You can buy combined bus and boat tickets from Stagecoach. These allow you to hop on and off the Keswick launch and unlimited travel on buses in certain zones depending on the ticket purchased. You’ll be able to buy your bus and boat ticket from the driver on any Stagecoach buses across Cumbria and North Lancashire. Please note that the drivers only accept cash payment. There is a flock of electric ‘sheep’ living in and around Keswick! Have a look to see where you can hire these funky, fun cars from during your stay. You can hire by the hour or for the day and they offer the perfect way to take short journeys around the area in the knowledge that your zero carbon footprint will help keep Keswick and the surrounding area looking beautiful. If you’re visiting with family and friends why not arrange to take two or three out at the same time, for a real Lake District ‘sheepish’ adventure. To make each Twizy distinctly Cumbrian each vehicle has been decorated as a sheep, with its own distinctive personality. They have also been named in traditional Westmorland and Cumberland dialect, spanning the numbers one (Yan) to ten (Dec). Hope Park has ‘Yan’ and ‘Tyan’ and the FSC Blencathra Centre has Pip and Methera. Your bicycle, or one hired locally is an excellent way to explore the area. Several long distance cycle routes pass through the area, notably the C2C 71. Please note the railway path between Keswick and Threlkeld is currently only partially open and not a through route due to bridges washed away by the floods. Click here for more information. Why not take a look at our walking page . There is a choice of easy and more strenuous routes available. Sit back on a sightseeing tour and let the experts guide you to the best spots.